Consider The Maine Lighthouse Museum as an Exciting Location for Your Next Meeting, Workshop or Celebration! The Maine Lighthouse Museum proudly houses the largest and most significant collection of lighthouse artifacts in the United States. This museum of historic treasures is also equipped to serve you and your company as a distinctive venue for meetings, workshops, and celebrations! The Maine Lighthouse Museum is a wonderfully interesting location for small cocktail parties and evening events. This rental includes the deck, and the Visitor Center with fantastic harbor views and a map of the coast built right into the floor! Our most flexible private space is perfect for lectures and larger meetings. 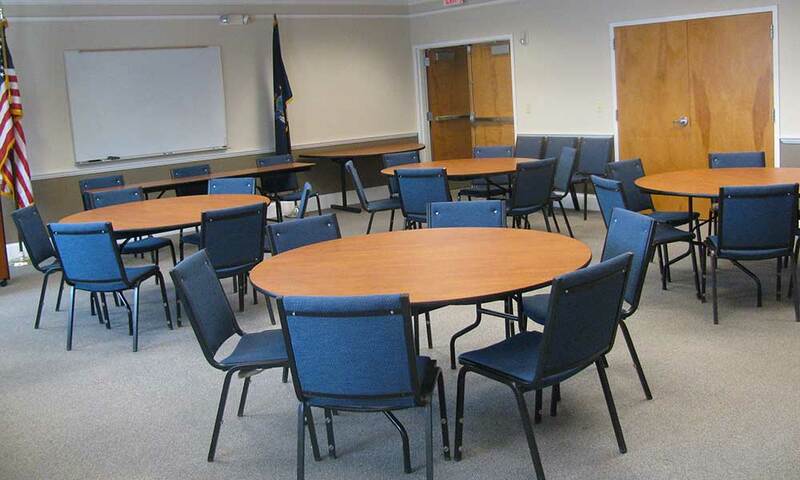 This room is directly connected to a kitchen and is an excellent choice for longer events requiring food service. Accommodates up to 60 people. 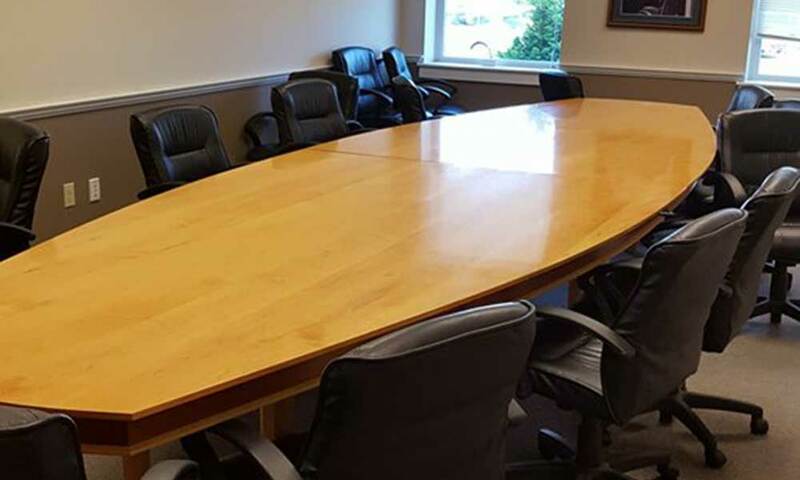 This beautifully appointed private meeting space is ideal for small workshops and Board meetings. Accommodates up to 20 people. Conveniently located one block from Main Street in Rockland. Parking in the designated areas of the lot at Tradewinds Inn across the street. Beautiful views of the harbor and the Rockland Breakwater Lighthouse from the Museum, the deck, and our lobby. Access to a kitchen, restrooms, as well as a variety of chairs and tables. We also have audio­visual equipment available at an additional cost. Discounted rental rates are available to non­profits and Maine Lighthouse Museum Members at the “Supporting” level and above. Please call for a quote. Take a break from your meeting with “Add­On­Fun!” options like a guided tour of the museum, or a special presentation by an expert on the Rockland Breakwater or Owls Head Lighthouse.